As the tech world gradually digests the major Windows keynote event earlier on this week, Microsoft has wasted no time in pushing out the latest Technical Preview of Windows 10, which is available now to download and install. With so many exciting announcements having been made during the past 48 or so hours, there’s definitely a renewed optimism of the direction the software maker is headed, and below, we’ve got all of the relevant details regarding this latest Technical Preview. Microsoft promised at its big event that the Windows 10 January Technical Preview would launch for those subscribed to the Windows Insider Program. If you are a member, you can now upgrade or install afresh, and once you have, there are plenty of new features to look forward to. With the January Windows 10 Technical Preview, you do, of course, get your usual assortment of bug fixes and performance enhancements. But Microsoft has also listed just over half a dozen more significant features and additions to the fold, pertaining to design, functionality, and integration with the Redmond’s wider product range. The Xbox App, for example, will let you view your friends’ activities and post to their timelines, as well as view DVR videos directly from your Windows 10 machine. Xbox One to PC streaming is forthcoming, but for now, there is still plenty for Xbox fans to be getting on with. 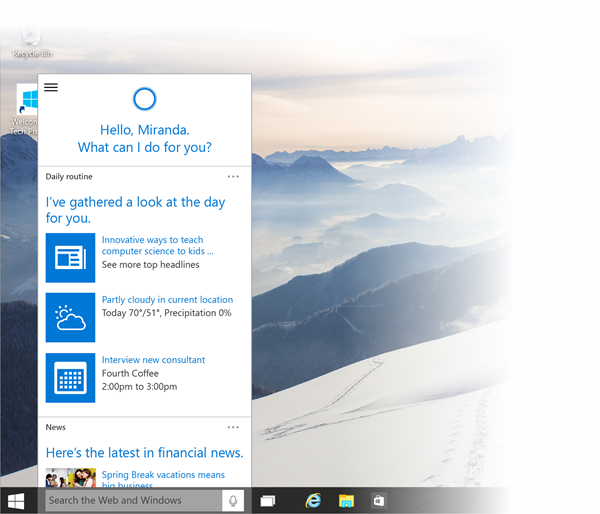 As we heard on Wednesday, Cortana will be a major component of Windows 10 looking ahead, and with the new Technical Preview, the voice assistant is built into the search feature of Windows 10. 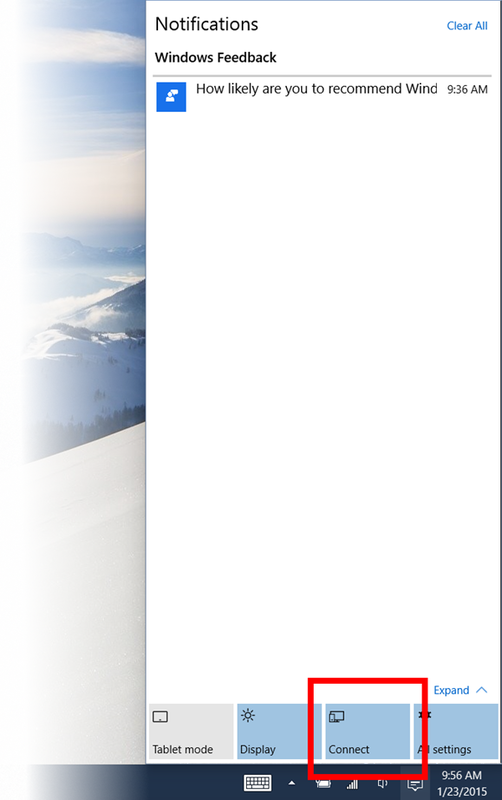 Microsoft has also done away with the Charms bar, replacing it with the new Action Center that also houses all your notifications in one place, and there are plenty of general design tweaks to be found across the board. It’s worth mentioning that today’s release does not come with Microsoft’s new browser, codenamed Project Spartan, and will likely ship with a new Technical Preview in the weeks / months to come, so be patient for that. With Continuum – the feature that promotes seamless, mid-task switching between tablet and PC – also making the cut, there are multiple reasons to jump on this Technical Preview. If you’re already running the older version of the Technical Preview on your PC, then navigate to PC Settings > Update and recovery > Preview builds and simply click on the Check Now button. The update will pop up in a snap, ready to be downloaded. 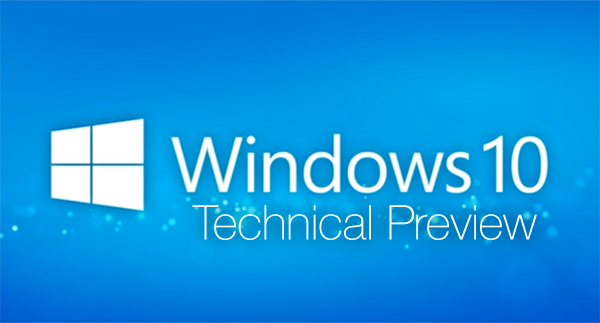 You can download the latest Windows 10 January Technical Preview Build 9926 from this link. Apple version is a way better! Looking forward to updating to this when I get home…so far so good on the previous builds, much better than Windows 8.1 and its nowhere near finished.